For all the bullish talk about metals of the future, miners are making some of their biggest profits from heavy-industry stalwart coal. That’s translating into big paydays for producers. Anglo American Plc’s coal earnings almost trebled in the last four years, despite lower production. The fuel is forecast to contribute a whopping 43 percent of Anglo’s profits this year despite it operating some of the best platinum, diamond and copper mines in the world. 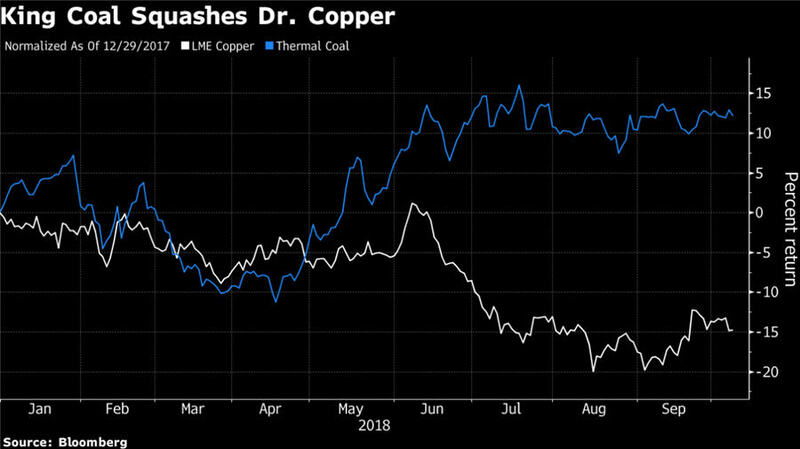 Glencore Plc is in touching distance of seeing its coal mining profits eclipse copper earnings this year for the first time since it sold shares in London in 2011. One explanation is that coal is susceptible to strong price swings. Unlike most other commodities, the vast majority of the fuel is produced in the country it’s burned, near power stations. The global seaborne market of about 1 billion tons is less than a fifth of total production, meaning small swings in demand can have a disproportionate impact on price. Seaborne coal demand increased more than 9 percent in the first half, while supply rose by less than 8 percent, according to Glencore. Chinese coal power generation increased by 7.8 percent, the world’s biggest coal producer said. 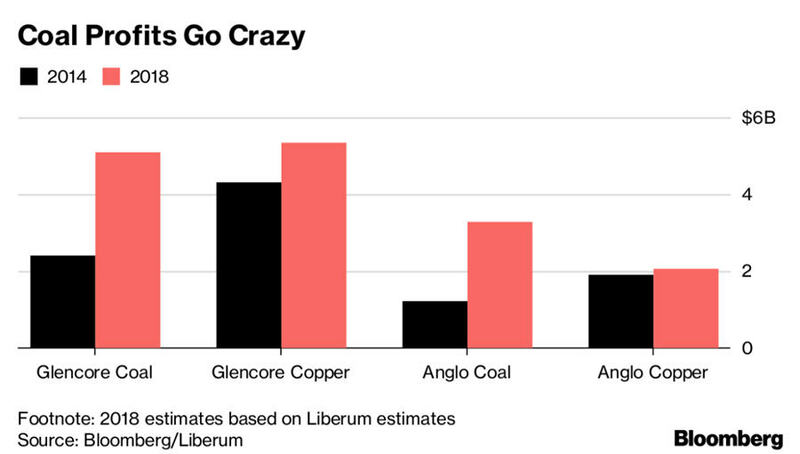 While a disconnect between bulk materials and base metals isn’t uncommon, commodities like coal and iron ore tend to be more closely aligned to supply and demand fundamentals than investor sentiment, the pattern is holding for longer than usual.